CONVAIR's CALAMITY (part 1) - THE CV880 ! To get ahead in the aircraft industry one needs to find "The Niche". Find and fulfill this adequately and the worlds airlines are likely to beat a path to your door .... or at least that's the basic theory. Whilst Boeing & Douglas during the mid 1950's concentrated upon refinning their respective B707 & DC8 projects of similar performances, the Convair Division of General Dynamics focussed attention upon speed and luxury in developing what it intended being a jetliner of vastly superior performance. Convair were producers of the highly successful CV240-580 family of propliner aircraft as well as the F102 Delta Dagger, F106 Delta Dart, and B58 Hustler line of high performance front-line military interceptor jets. On the strength of this respectable reputation, encouragement from Howard HUGHES, and dogged determination to break into the lucrative civil jetliner market, Convair began enticing HUGHES with "exclusive delivery rights" for the first 40 airframes produced in order to secure from TWA the order it so vitally needed to launch its jetliner project. Traditionally TWA's aircraft were purchased by HUGHES Toolco company then leased back to the airline. Despite some internal skepticism regarding the companies ability to penetrate the world jetliner market sufficiently to recover its developmental costs, Convair's new jetliner was non-the-less launched during April 1956 as the "SKYLARK 600". In June 1956 the project was redesignated "MODEL 22 GOLDEN ARROW" .... in response to HUGHES enthusiasm for external surfaces of the new aircraft to be manufactured from specially annodised/gold coloured metal, however, problems then associated with milling such gold metal of a consistant shade later forced abandonment of this unique and potentially attractive concept. 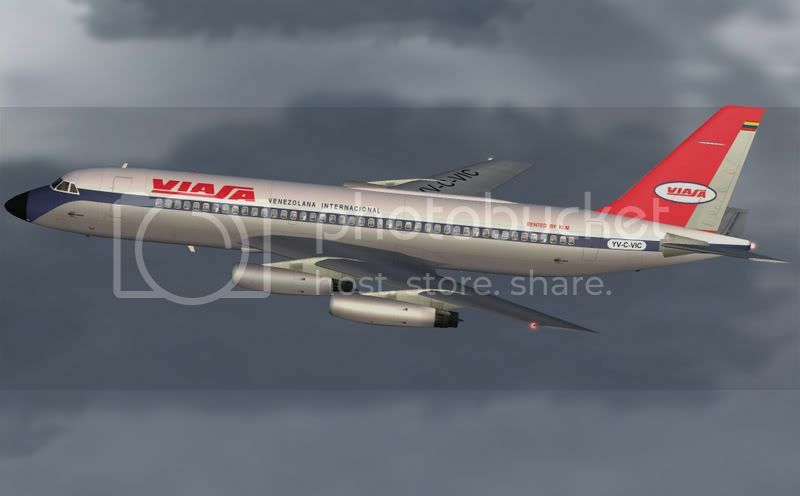 Consequently the aircraft was again rebranded .... "CONVAIR 880" .... the numerical suffix referring to the aircrafts approximate ground speed in feet per second. It was against this background that the CV880 became General Dynamics challenge to the Boeing/Douglas dominated world market for first generation civil jetliners. 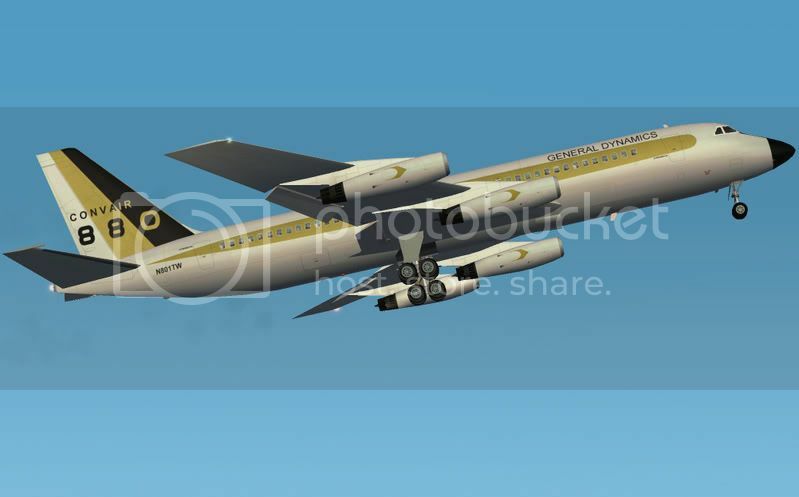 The CV880 was designed to be a medium/long range high speed luxury jetliner with capacity for some 80 PAX, slightly smaller than both B707 & DC8, and capable of operating from 5000 ft runways. Despite anticipated superior performance the aircraft represented only conservative technological advances, closely mirroring established Boeing/Douglas jet design concepts of the period. The aircraft was constructed much stronger than competing B707's & DC8's with thinner wings and a narrower fuselage cross-section in order to enhance speed, but, which also restricted it to a less than desirable cabin configuration of 5 abreast seating. Still Convair's revenue/performance projections suggested the CV880 would break even with only 30% loadings .... based on an exclusive first class configuration, medium haul routes, cruising speeds of around 615mph, high aircraft utilisation, with turn-around times of just 25 minutes. In clean configuration the CV880 would have little drag and be "EXCEPTIONALLY FAST". P&W J57 turbojet engines were Convair's original powerplant of choice but later substituted for GE J79 turbojet engines under the civil GE CJ805-3 designation. These powerplants had better weight to power ratio, lower fuel consumption, did not require the water injection/thrust augmentation of early Pratt & Whitney series turbojets, and featured variable stators promoting rapid power adjustments. The CJ 805-3 turbojet engine was also General Electric's first civil jet powerplant. No developmental CV880 prototype was ever built. Instead Convair elected to save time using the first 3 production aircraft for the flight testing and certification program. Launch customers were TWA for 30, and Delta Air Lines for 10 aircraft each. TWA's "priority agreement" with Convair awarded it right to determine Delta's delivery positions. Despite sales commitments by Delta, and TWA, response from other airlines was less than encouraging .... a situation hardly aided by the aircrafts late development and delivery schedules already disadvantaged with production of the first 40 aircraft being monopolised by the TWA/Toolco/HUGHES agreement. "Ship One" (N801TW) first flew from Lindbergh field San Diego on January 27th 1959. Flight testing proceeded with satisfying results despite a major structural failure and the near loss of "Ship One" on March 25th 1959. This incident occurred during high speed flutter tests over the Pacific Ocean as the aircraft was being flown with 1 of 3 elevator/rudder dampers removed. Resulting violent buffet caused most of the vertical stabilizer and rudder to fail and seperate from the aircraft. Adequate control remained through cautious application of assymetric power settings. The test crew elected to remain aboard the aircraft and an emergency landing at California's Edwards Air Force Base was successfully accomplished. The aircraft was repaired and returned to service within a few weeks. As a consequence of this incident 3 dampers became a mandatory feature of all production CV880's. FAA Certification for the CV880-22 was awarded on May 1st 1960. All CV880-22's had a fuselage length of 124ft 2in with a cross-section diameter of 11ft 6in, wingspan of 120ft. These aircraft were powered by 4 GE CJ-805-3A turbojet engines rated at 11,200 lb/st each, and had a MTOW of 184,500lb, and range of some 3,200nm depending upon payload/reserves. 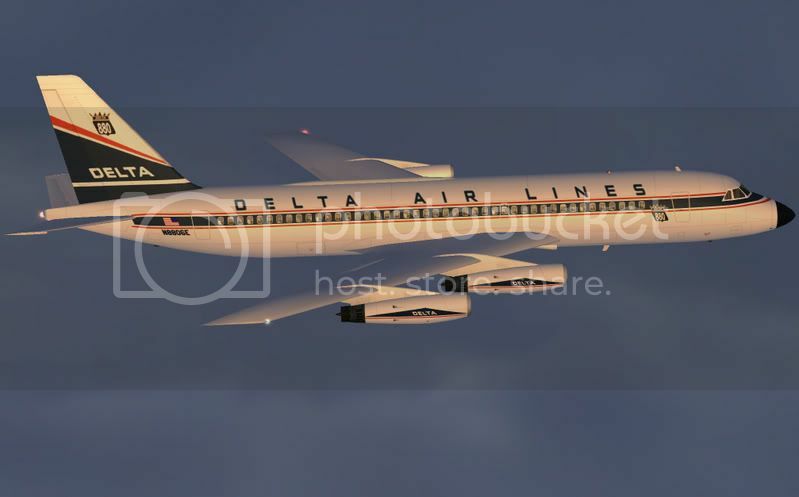 Circumstances dictated that the first CV880's to enter commercial airline service were actually delivered to Delta Air Lines from February 9th 1960. Christened "Delta Queen" these aircraft began operating Delta's "Royal Jet" services from May 5th 1960. Initially featuring exclusive First Class accomodation for 72 PAX, from December 1961 this configuration was revised to dual First/Economy Class seating for 88 PAX. A total of 17 CV880-22's were eventually delivered to Delta. 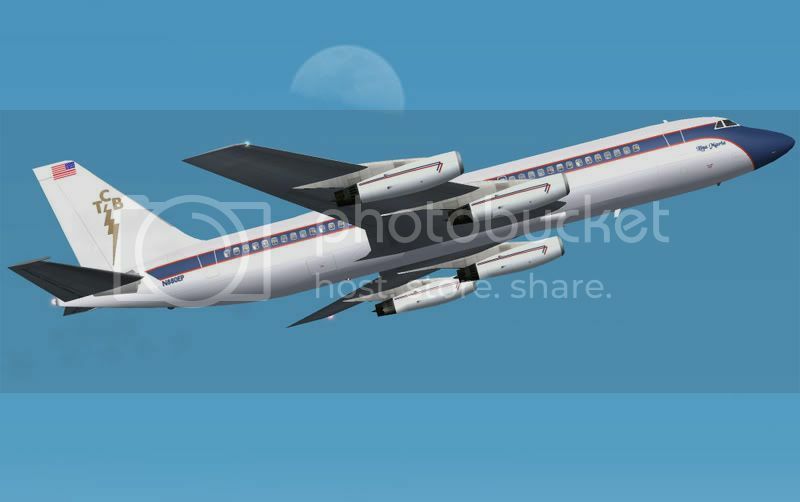 These were deployed across the airlines US domestic route network and on some international services through the Caribbean until November 1973 by which time they had been replaced by B727-200's. Although Northeast Airlines was never among those carriers whom opted for CV880's by choice, through Howard HUGHES decision to release 6 of the 30 TWA intended aircraft, it became the 2nd airline to place the type into revenue service from December 15th 1960. These aircraft were leased through a Toolco/General Dynamics arrangement and operated the airlines "SuperJet" services (later "YellowBird services) between Boston, Philadelphia, and Miami configured with dual First/Economy Class capacity for up to 98 PAX. Financial difficulties later forced the airline to progressively return all 6 of these aircraft to General Dynamics between July and September of 1963. HUGHES had meanwhile acquired financial control of Northeast during 1962 and replaced the airlines 6 original CV880's with the 4 remaining Toolco owned aircraft. Although HUGHES relinquished control of the airline during 1964, Toolco none-the-less honoured its General Dynamics/Northeast leasing arrangements until February 1968 when the airlines CV880 fleet was withdrawn from service and replaced with B727-200's .... beyond briefly operating a leased CV990-A between January 1967 and April 1968. TWA should technically have been the first airline to place CV880's into commercial service, but, had meanwhile become frustrated by difficulties with both Howard HUGHES and inability to finance its entire 30 aircraft commitment. This forced Convair to suspend construction of all 18 airframes then in production for TWA pending a resolution to the airlines problems. HUGHES control of TWA was ultimately disolved by the courts during December 1960. The airline was eventually able to finance all but 10 of its original 30 aircraft order, however, further setbacks ocurred through these original 18 aircraft having become water damaged due to open air storage since construction was suspended. This situation was then further complicated by the mysterious disappearance of all records relating to precisely what modifications had been applied to which particular airframes prior the work stoppage .... imposing additional major expenditure when all 18 aircraft consequently required rewiring. TWA finally took delivery of its first CV880-22's on January 1st 1961. These entered service with the airline from January 12th 1961 configured with dual First/Economy Class accomodation for up to 85 passengers. 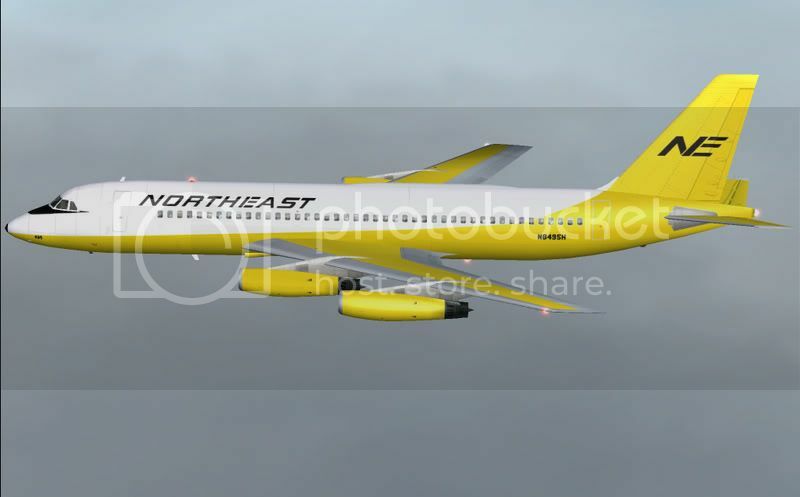 The airline eventually took delivery of 27 aircraft (including the 6 original Northeast Airlines CV880's) which operated throughout its US domestic route network until June 1974 by which time they had been progressively replaced with B727-200's. Beyond acquisitions by Delta and TWA, the CV880-22 failed to appeal to most carriers. However, the aircrafts emergence on the world jetliner market sufficiently worried Boeing into redeveloping its basic B707-120 airframe to produce a shorter, lighter, and technically simpler B707 version marketed as the B720. Boeing then offered this new aircraft at "bagain basement" rates in order to counter the percieved Convair threat. Consequently early interest in the CV880 by American Airlines, Continental Airlines, Eastern Air Lines, and United Air Lines quickly evaporated in favor of B720's. In desperation Convair even offered financially billeagred Capital Airlines a reorganisation plan which included financing for up to 15 CV880's, but, the airline (amid rumours of another HUGHES CV880 leasing deal, along with interest in the British Comet) was later forced into a merger with United Air Lines. Once promising foreign opportunities also began to disappear when REAL Aerovias of Brasil similarly merged with VARIG Brasilian Airlines, whilst Argentina's Transcontinental Aerolineas ceased operations altogether. Convair's already limited CV880 "niche market" was steadily erroding even at this early stage. Still the company were confident that refinement of its basic CV880 design would be encouraging of future sales and success. The product of this philosophy was the modified "CV880-22M" .... featuring leading edge Krueger Flaps promoting additional lift and reduced stalling speeds, slightly increased engine thrust, powered rudder, increased fuel capacity promoting modest range improvements, and strengthened landing gear to contend with higher operating weights. "Ship One" was modified to CV880-M standard and first flown on October 3rd 1960 with FAA certification being awarded on July 24th 1961. This aircraft was later restored to original CV880-22 standard then delivered to TWA with whom it served under a unique "CV880-22-1" designation until November 1st 1973. All CV880-22M's had a fuselage length of 124ft 2in with a cross-section diameter of 11ft 6in, wingspan of 120ft. These aircraft were powered by 4 GE CJ-805-3B turbojet engines rated at 11,650 lb/st each, and had a MTOW of 193,00lb, and range of some 3,750nm depending upon payload/reserves. Airline response to the CV880-22M was still marginal. Much of Convair's potential market having by this time been successfully infiltrated by both Boeing & Douglas. However, foreign orders for CV880-M's were soon forthcomming. Taiwan's Civil Air Transport took delivery of the very first producion CV880-22M on June 6th 1961. 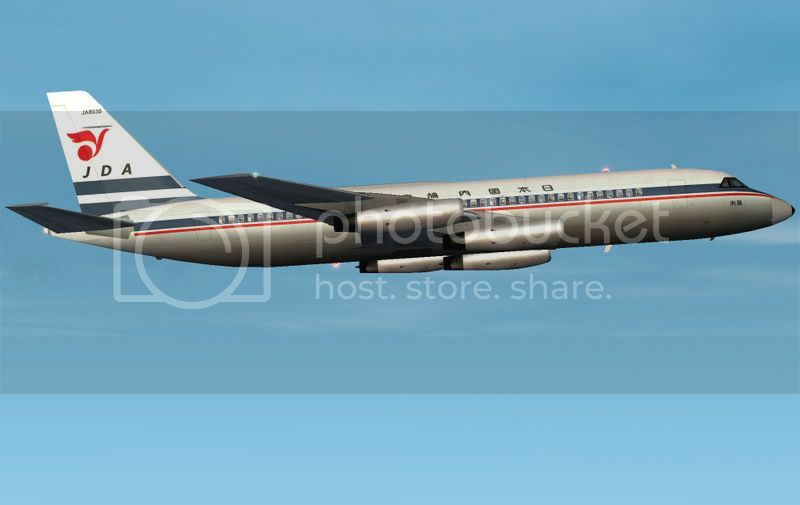 Configured with dual First/Economy Class accomodation for 94 PAX, this aircraft operated the airlines "Mandarin Jet" services between Taipei, Bankok, Hong Kong, Manila, Okinawa, Seoul, Tainan, and Tokyo from July 1961 until September 30th 1968. 3 CV880-22M's were delivered to VIASA Venezuela between August 1st 1961 and April 19th 1963. From Caracus these aircraft serviced the airlines routes to Maracaibo, Miami, New Orleans, New York, Paramaibo, and Surinam with dual First/Economy Class capacity for 78 PAX. 1 of these aircraft (YV-C-VIC) was even operated under a joint VIASA/KLM agreement on services through the Caribbean to New York until November 1965. 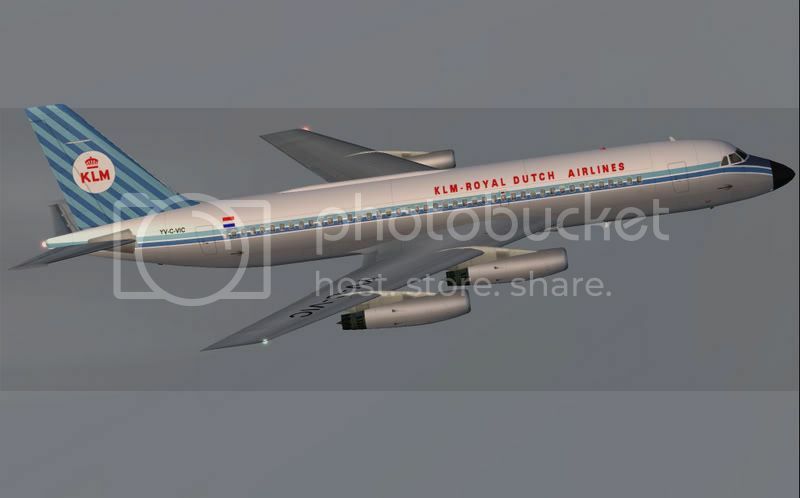 This particular aircraft featured a split identity comprised of VIASA livery on port side (with "Rented By KLM" titles on the rear fuselage) and KLM livery on starboard side. 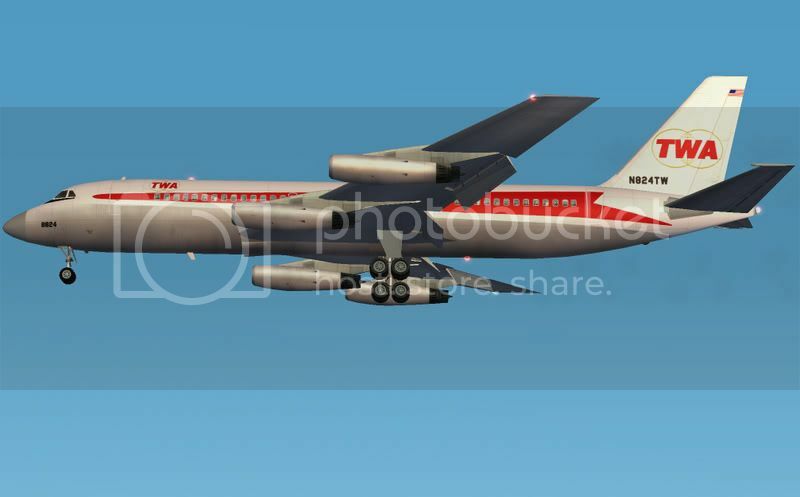 The CV880-M remained in service with VIASA until June 30th 1967 when the airline began stadardizing with DC8's. Desperate for jet equipment in order to remain competitive, financially restricted Alaska Airlines acquired a single CV880-22M on July 31st 1961. 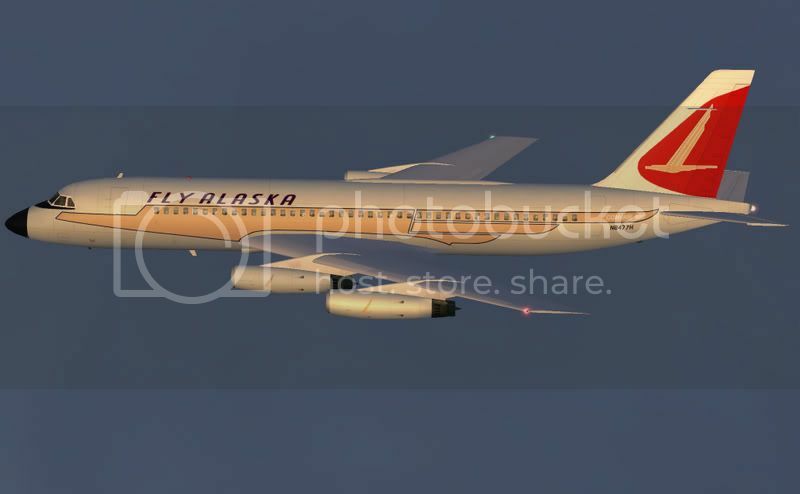 This aircraft operated the airlines "Golden Nugget" services between Seattle, Anchorage, and Fairbanks with accomodation for for up to 74 PAX in a dual First/Economy Class configuration. During off-peak seasons this particular aircraft was also operated in a dual PAX/freight capacity and occasionally flew MATS charters until November 4th 1966 when it was replaced by a B727, along with a CV990-A during May 1967. 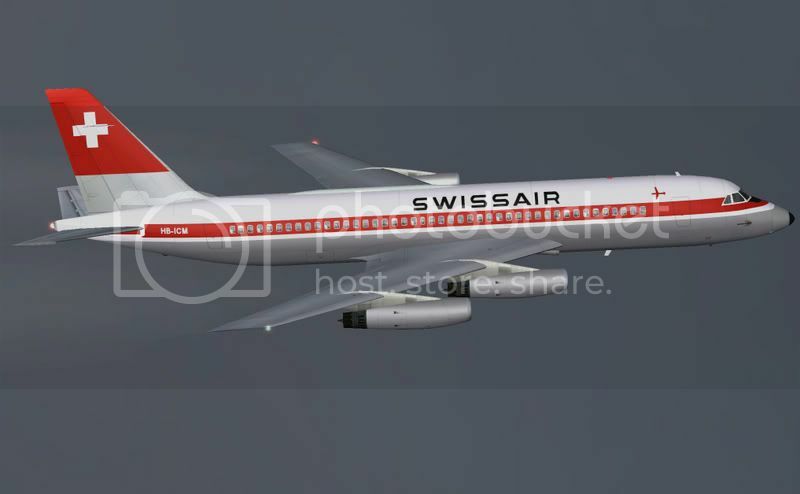 Swissair originally contracted for 5 CV880-22M's during 1958. Only 2 were ever delivered and operated as interim aircraft from August 11th 1961 until May 20th 1962 in advance of the airlines preferred CV990-A's. From both Zurich and Geneva these aircraft serviced the airlines international routes to Tokyo operating via Athens, Bankok, Beiruit, Bombay, Cairo, Calcutta, Karachi .... then on to Manila, and with occasional services to London. 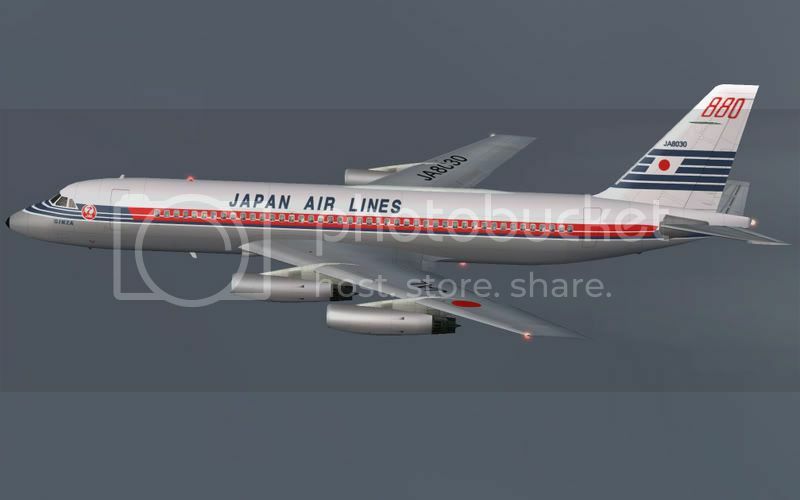 Japan Air Lines took delivery of a total of 8 CV880-22M's between July 21st 1961 and July 3rd 1963. Configured with First/Business Class capacity for 80 PAX, these aircraft operated the airlines "Silk" services from both Tokyo and Osaka throughout the South East Asian region .... servicing Bankok, Hong Kong, Okinawa, Singapore, and Taipei, and to London via the Middle East until April 22nd 1971. From April 1st 1965 Japan Air Lines also leased a 9th CV880-22M from General Dynamics. This particular aircraft was operated by the airlines Japan Domestic Airways subsidiary until August 26th 1966. 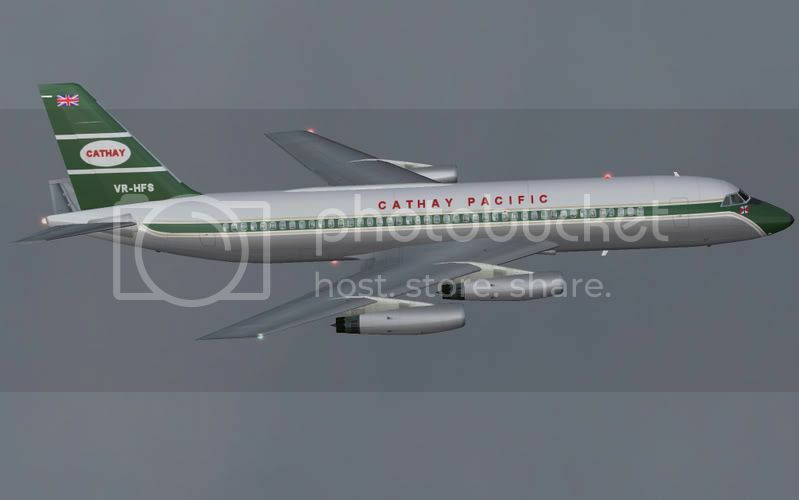 Concerned that the Comet 4 was too small and both B707 & DC8 jetliners too large for its routes, Hong Kong's Cathay Pacific Airways acquired a single factory fresh CV880-22M on February 20th 1962 .... its first pure jet equipment. The airline later acquired a further 8 CV880-M's on the 2nd hand market. Configured with dual First/Economy Class accomodation for 74 PAX (later increased to 119 PAX) these aircraft operated the airlines international routes from Hong Kong to Bankok, Manila, Perth, Singapore, Taipei, and Tokyo until March 16th 1976 when they were progressively replaced by B707-320C's. Most foreign operators retired their CV880 fleets during the late 1960's. As the oil price shock of the early 1970's began to impact global airline economies both Delta and TWA began withdrawing their CV880 fleets earlier than originally planned. Delta's fleet was withdrawn from service before the end of 1973, whilst TWA operated its last CV880 service on June 15th 1974. Redundant aircraft were stored and tendered for sale. Some were broken-up immediately. Despite being cheap to purchase but expensive to operate a number of CV880's earned a new lease of life in service with the airlines of developing nations and tour/travel clubs around the world. Airtrust Singapore (a division of Florida based Orient Pacific Airways) operated a single CV880-22 along with 3 CV880-22M's from September 11th 1975 until 1980. These aircraft flew engineers between oil drilling sites throughout both Asian and Middle Eastern regions. 2 of the companies CV880-M's also fullfilled leases with Air Malta, Gulf Air, and Concordia between 1976 and 1979. 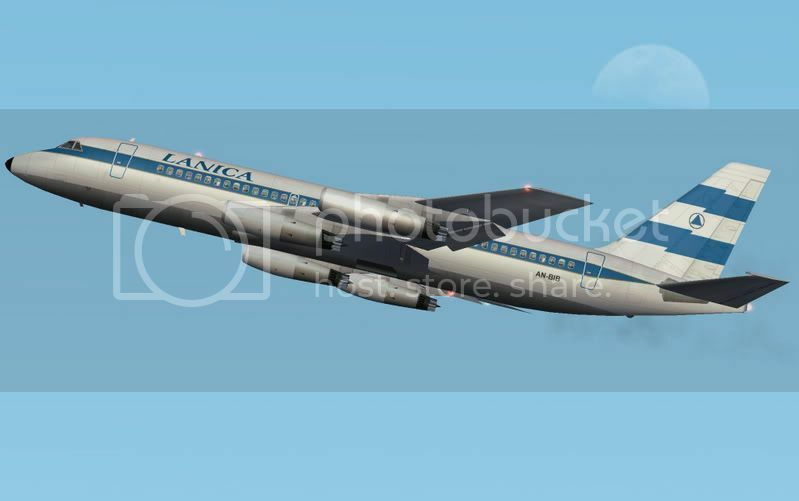 Assistance from Howard HUGHES/Toolco saw CV880's replace LANICA's leased BAC 1-11.200's. 4 CV880-22's and 2 CV880-22M's were operated by the Nicaraguan carrier under various leases and for different durations. 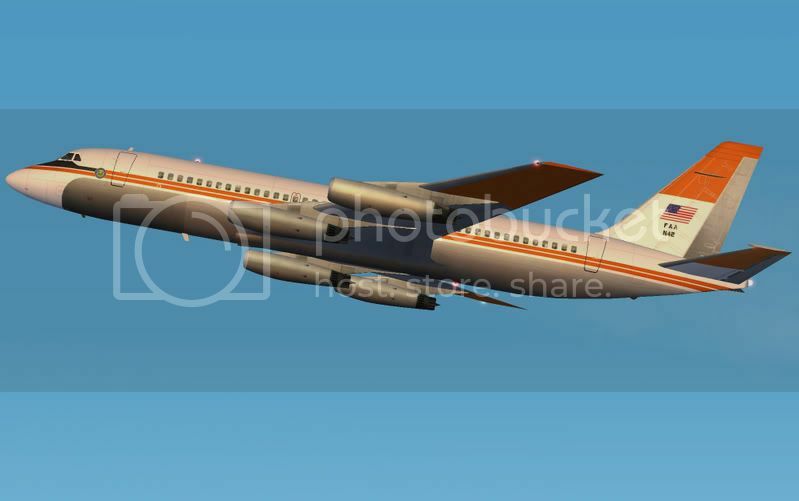 These aircraft serviced the airlines routes between Managua, Mexico City, Miami, San Pedro, San Salvador, and Sula from May 23rd 1972 until June 1977 when the airline upgraded to B727-100's. 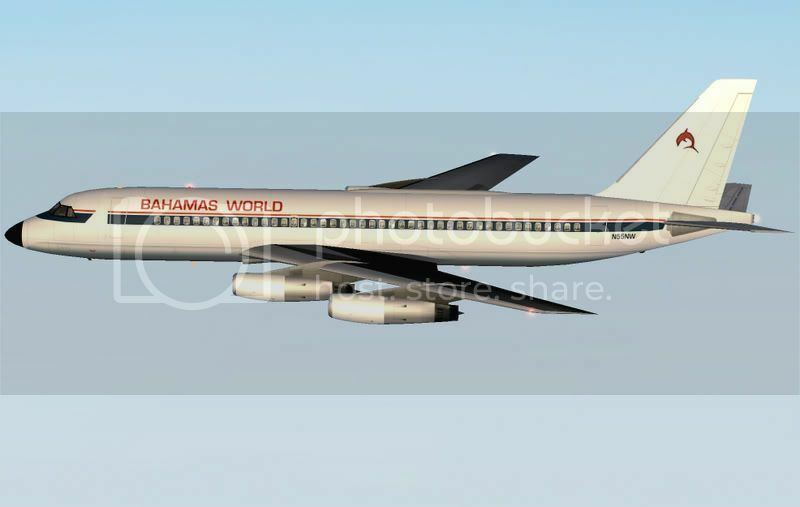 Bahamas World Airways briefly operated a single CV880-22 on Miami/Nassau services during November 1976. Among tour companies operating surplus CV880 aircraft were Sunfari Travel Club during 1972, Air Viking from July 31st 1973 until November 1973, and Freelandia Travel Club during 1973 .... each with CV880-22M's .... along with Sunjet International whom leased 2 CV880-22M's between February 24th 1979 and 1982, operating first as Fourwinds Travel Club, then later as Indy Air. Between April 18th 1975 and 1977 an ex Delta CV880-22 even became the executive/private transport of entertainer Elvis PRESLEY .... named for his daughter "Lisa Marie". Today this particular aircraft is one of few remaining CV880's in the world having been preserved at the entertainers Gracelands home/memorial museum in the USA. 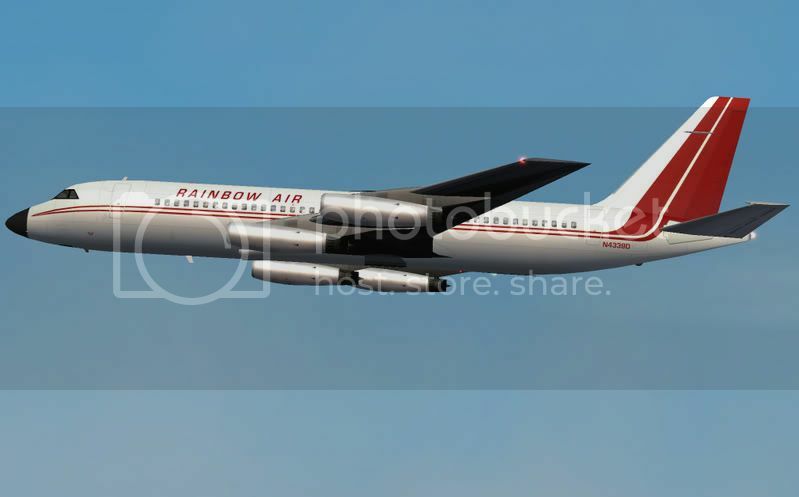 Ex airline CV880's were acquired for by prospective operators such as Jonian Airways during 1972, then Rainbow Air during 1983, or as equipment leases by then existant carriers like Quisqueyana during 1978. None of these proposed operations ever became airborne through either failing to obtain mandatory air services licencing or ceasing operations prior to the commencement of services. A single CV880-22M saw 18 years service with the FAA's Flight Safety Division. Based in Oklahoma City from August 13th 1961 until 1980, this aircraft was flew for the agency barely sufficiently for crews to maintain their type ratings. It was eventually transferred to the US Navy during 1981. In military service this same aircraft was redesignated "UC880 and based at the Naval Air Test Center in Patuxant River Maryland. Affectionately nicknamed "Old Smokey", it was first modified to operate as an aerial refueller .... equipped with a 75ft hose and drogue system, then as a Command & Control/Telemetry Guidence Platform for cruise missile testing during the mid 1980's, as well as servicing the Navy's general transport role. Throughout its Navy career this aircraft maintained in a permanant state readyness and operated special support missions as far afield as Alaska, Egypt, and the Mediterranean prior to being decommissioned on October 23rd 1993 .... the last CV880 to remain in active service anywhere in the world. A 2nd CV880-22M (ex Indy Air N48063) was also aquired by the US Navy during 1984 and to provide a source of spares for its operational UC880. During 1995 this same aircraft was used by the FAA in support of ground testing to assess airframe vulnerability to on-board explosion. During the late 1970's a small number of retired ex-airline operated CV-880's were converted to freighters .... redesignated "CV880 AIRLIFTER". These aircraft were fitted with a 133 X 84 inch forward fuselage maindeck cargo doors, 9G restraining nets, strengthened floors with rollers to facilitate loading/unloading, along with mandatory main cabin fire detection equipment. 5 aircraft were converted to pure freight configuration in a private venture undertaken by Miami based MONARCH AVIASTION. CV-880 AIRLIFTER aircraft had payload capacity of up to 51,000lb over a range of some 1,800 NM. AMERICAN JET INDUSTRIES/GULFsTREAM AMERICAN also later acquired a further 20 aircraft for proposed freighter conversions, but, despite receiving support from CONVAIR only a small number of these conversions were ever completed prior to cancellation of the entire project during 1980. Many of the few converted CV-880 AIRLIFTER's saw sercice within the Latin American and Caribbean regions .... the most notable operators being CENTRAL AMERICAN AIRWAYS which operated a single leased CV-880-22MF from February 2nd 1980 until 1981. INAIR PANAMA whom leased a total 3 CV880-22F aircraft for different durations between November 1977 and March 1980. LATIN CARGA VENEZUELA which leased a single CV-880-22F from November 1st 1979 until November 3rd 1980. PROFIT EXPRESS whom operated both a CV-880-22F and a CV-880-22MF aircraft on lease from July 1981 until December 1984. And SERCA COSTA RICA which leased a single CV-880-22F for its cargo operations between November 1984 and May 1986. Most of these aircraft were leased directly from MONARCH AVIATION, AMERICAN JET INSUSTRIES, or through LEGIONAIR. The last of the type were withdrawn from service during the mid 1980's .... the aircrafts limited capacity (due to its narrow fuselage cross section) and high operating costs once again impairing both its usefulness, and success, as a pure air freighter. More stringent FAA/ICAO noise regulations which began taking effect from the early 1980's also posed new problems for the very few CV-880's that remained in service by this time. Serious consideration was given to re-engining these aircraft, but, given the types original small production run .... th aircraft lmitations .... and with so few operational airframes remaining by this stage also .... this proposition was quickly deemed "commercially uneconomic". Despite its late development and delayed service entry the General Dynamics CV880 basically delivered what it promised "performance-wise". The aircraft was unrivalled in speed until the advent of Concorde and established numerous in-service point-to-point speed records .... many of which remain unbeaten to this very day. However, throughout its service career the CV880 was constantly disadvantaged by restricted capacity (5 abreast seating) and associated high operating costs. As a result of this, and being born into a market already dominated by B707's & DC8's, the aircraft was destined to fail. A total of only 48 CV880-22, and 17 CV880-22M airframes were ever produced by General Dynamics .... and by way of further blundering most of these sold for much less than they cost to build. 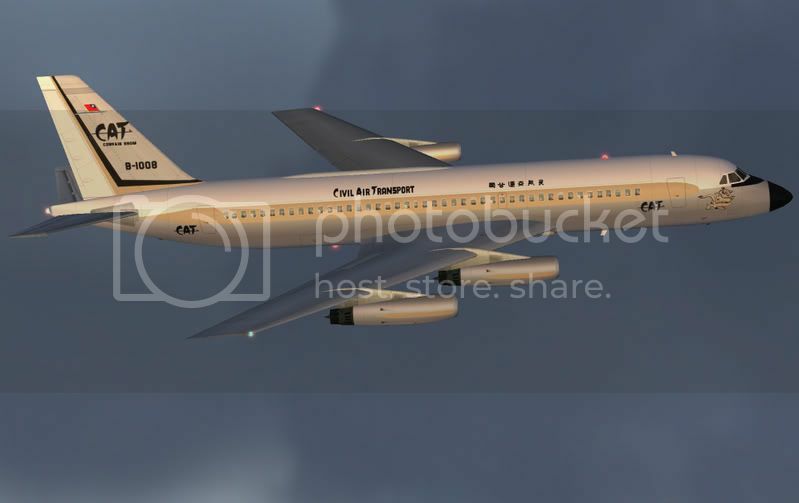 Despite already accumulating huge losses on its CV880 project, so determined were Convair to gain a share of the burgeoning world market for first generation civil jetliners, the company remained confident that developing and marketing a larger and faster CV880 derivative (the "CV990") would ensure it's ultimate triumph .... but .... that's another story. See CONVAIR's CALAMITY (part 2) - THE CV990 ! HJG B707, B717-200, B720, B727, B737-300/400/500, BAe 146/ARJ, C135, CV880, CV990, CARAVELLE, CONCORDE, DC-8, DC-9, DC-10, L-1011, MD-80, MD-90, MERCURE RATED. Are the repaints by a variety of artists or are the all Tony's? Pretty much an assortment Garry .... some HJG main inventory repaints .... at least one non-HJG repaint .... then the rest a Tony's new work also now available withing the main HJG inventory. Well it doesn't matter how long it takes as it will be worth the wait. Ahhhh fond memories of Kerosene! Also used to sit in highschool and among the other daydreaming-out-the-window passtimes was watching the morning NEAL 880 departure heading south -once timed it and could see the black smoke for 80 (!!!!) miles. Sorry it contains the article above as posted there also, but scroll down and you will see some pics from a visit this weekend. This is linked with permission from the author. 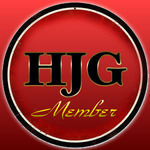 I have linked to the site for those who are not familiar with the Classic British Flight Sim Forum. Bravo,bravo, Marc C"Aerofoto" , very fine article and also very well documented.Much apreciated. 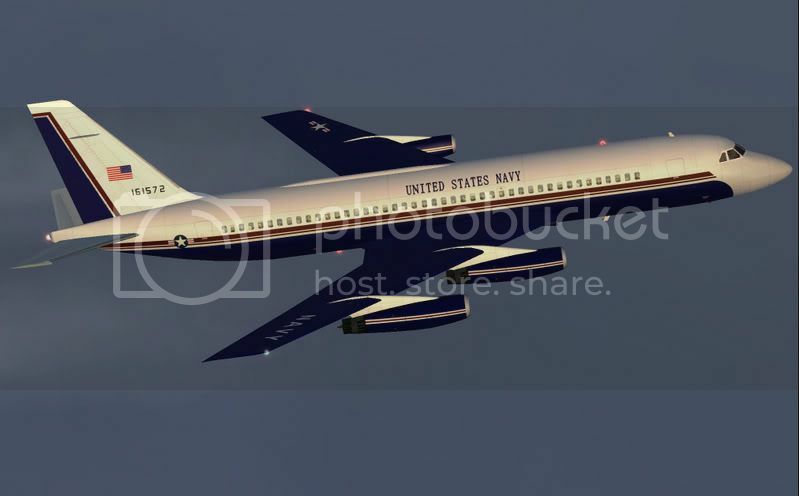 I've just rewritten .... corrected .... our "CONVAIR CALAMITY (part 1) THE CV880" article. A lot of details have been improved upon in the light of further study and research .... and the whole darned thing's been reillustrated now too. Whenever something like this is done there is always new information that comes up so it is of great credit to you to have taken the trouble to update it. Perhaps you could repost on CBFS.....but if you do perhaps a link rather than the article as that will pull them across here and some may well sign up. This is your Captain Speaking - I think were Lost ? Hey JR, might not handle like it was designed to do with the VC10 panel. The above links go to no found when tried. "Right now I'm having amnesia and deja vu at the same time. I think I've forgotten this before"